I was in a high-tech shop at the weekend, and it was mobbed: people were queued five-deep to get their turn on a tablet, while others oohed and aahed over smartphones and handed over fistfuls of cash to the sales reps. It wasn't, as you've probably guessed, an Android shop. I'm being a little unfair, because of course Android shops don't exist - but there's no doubt that there's an excitement to iPads and other iOS devices that Android simply doesn't have. 2011 should have been Android's year, with stacks of exciting new kit flying off the shelves while Apple struggled to make enough iPad 2s - but the year's going to end much as it started, with Apple doing the big numbers and everyone else fighting over scraps. Let's be frank: on phones, Android's doing fine - but on tablets, it's a failure. It's not as elegant as iOS, the devices aren't as compelling as iPad 2s, and the advertising has been rotten - so despite there being more iPad rivals than ever before, Android's share of the tablet market has dropped. 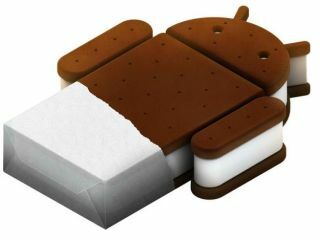 Ice Cream Sandwich will help - having two Androids, one for phones and one for tablets, is just silly - but there are other, more serious problems. Is Android screwed? Android appears to have more problems than Jay-Z. One of the problems is financial: you need economies of scale to take on Apple in the tablet game, and if you're not selling many tablets, which individual Android manufacturers aren't, then you're going to have to cut corners or go for microscopic margins (or both) to keep your kit competitive. That keeps you in Tesco Value territory. Fragmentation is an issue, too. Where Apple has a single version of iOS at any given time, Android is all over the shop - a tablet running 2.2 here, a 2.0 tablet there, a 3.1 over there - and that causes issues for developers, as does some manufacturers' use of non-standard Android app stores and user interfaces. It confuses the hell out of customers too, and that's before you include Chrome OS. More? There are legal issues to consider - Android has been described as a "lawsuit magnet" - and manufacturers are bound to be worried about Google's acquisition of Motorola and whether that means Moto kit will get preferential treatment. Some firms, such as HTC, might even buy their own mobile OS to differentiate themselves from all the other Android firms. And then there are the enemies without and within: Microsoft and Amazon. Windows 8 may well turn out to be a huge horse's arse of an operating system, but from what we've seen so far that doesn't seem likely - and its UI, in Metro form anyway, is fun in a way Android isn't. Despite Microsoft's love of different Windows incarnations you won't need to study spec sheets to work out whether you're getting current Windows, last year's Windows or two years ago's Windows when you buy a slate, and while OEMs will no doubt install crappy apps they're not going to fiddle with the Windows UI. And then there's Amazon, who reckons the secret of a successful Android tablet is to hide all the Android bits - the UI, the Market, and everything else. If the Kindle tablet takes off, which I think it will, it'll take more sales from Android devices than it will from iOS ones. The good news, though, is that this is all fixable. All Google needs to do is combine Gingerbread, Honeycomb and ChromeOS, improve the UI, stop manufacturers from meddling, running their own app shops or forking the code, sort out the marketing, be better than Windows 8, iOS 5 and Amazon, defeat the lawsuits and find a way for Android firms to deliver Apple quality, desirability and profitability for sub-Apple prices. Easy! Liked this? Then check out Chrome OS: what's the point?